The fastest and easiest way to get rid of frizzy, unmanageable hair! 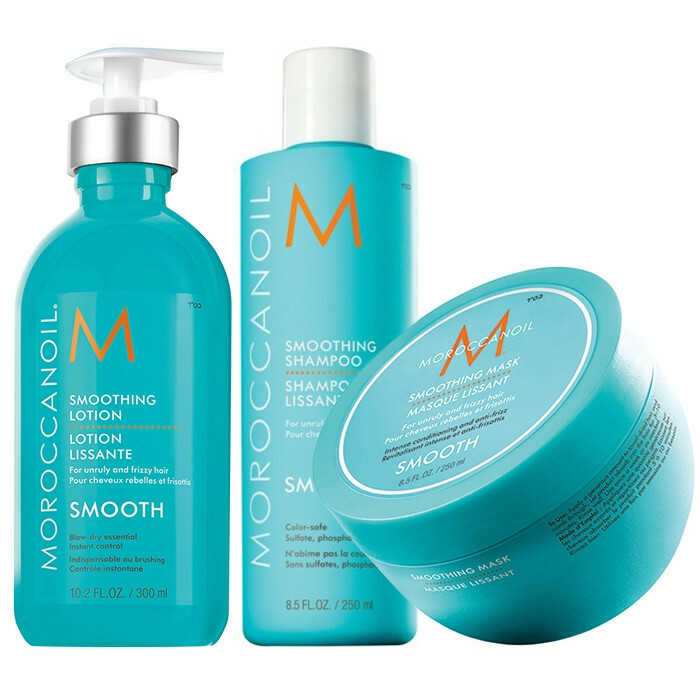 This kit includes three high-performance products : Moroccanoil Smoothing Shampoo, Smoothing Mask and Smoothing Lotion. Thanks to the Moroccanoil amazing formula rich in argan oil, argan butter and fatty acids, these products leave hair soft, shiny and more manageable. The fastest and easiest way to get rid of frizzy, unmanageable hair! This kit includes three high-performance products. 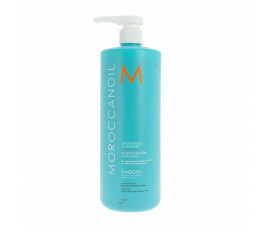 Moroccanoil Smoothing Shampoo is a shampoo for all hair types - especially for frizzy, unmanageable hair. This product protects and enhances the beauty of your hair, nourishing it and leaving it healthy and straight up to 72 hours. It leaves hair stronger and easy to style. Argan oil and butter for smooth and healthy hair. AminoRenew , rich in amino acids, strengthens the structure of your hair. Apply to damp hair and scalp, add a small amount of water and massage through hair until a lather is produced. 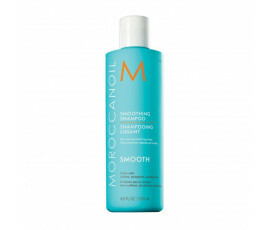 Tip: use this product in combination with Moroccanoil Smoothing Conditioner. 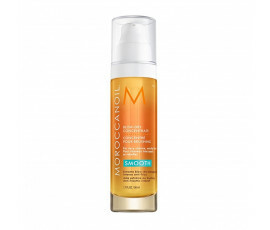 Moroccanoil Smoothing Mask is a mask for all hair types, especially for frizzy, unmanageable hair. 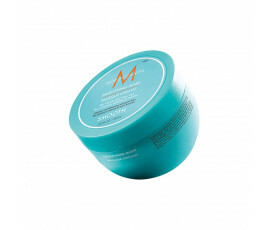 This mask nourishes hair and controls frizz, leaving hair soft, smooth and easy to style. It leaves hair soft, smooth and easy to style. Fatty acids derived from coconut. Apply the product to towel-dried hair and comb through. Leave on hair 5-10 minutes. Tip: use this mask once a week or as needed. 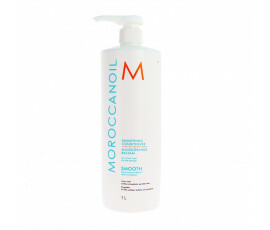 Moroccanoil Smoothing Lotion is a medium hold lotion for all hair types, especially for frizzy hair. This lotion styles your hair leaving it smooth, manageable and soft to the touch. It protects hair from humidity. It defines every single lock. Argan oil and butter nourish hair. Vitamin E and essential fatty acids leave hair soft and healthy. Apply a small amount of product to damp hair. Shampoo: lavaggi frequenti. Maschera: lasciare agire per 5-10 minuti.